McGraw-Hill Networks™ is a dynamic student-centered program that helps teachers prepare students to be successful in college, careers, and civic life. Rigorous, age-appropriate content highlights diverse perspectives, integrates primary sources, and makes relevant connections to bring the subject area to life. 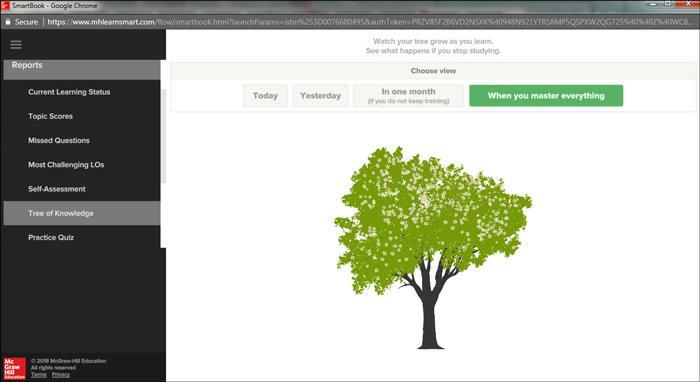 Dynamic digital resources draw students in. Project-based and inquiry activities ignite curiosity and facilitate critical thinking, teaching students how to analyze sources, cite evidence, and take informed action. Customizable lesson plans and classroom management tools save time, while point-of-use differentiation strategies and authentic ELL support meet every student where they are. Stimulate collaboration, problem solving, debate, action, and draw connections to today. By demonstrating relevancy, students realize they have the power to shape the world around them. 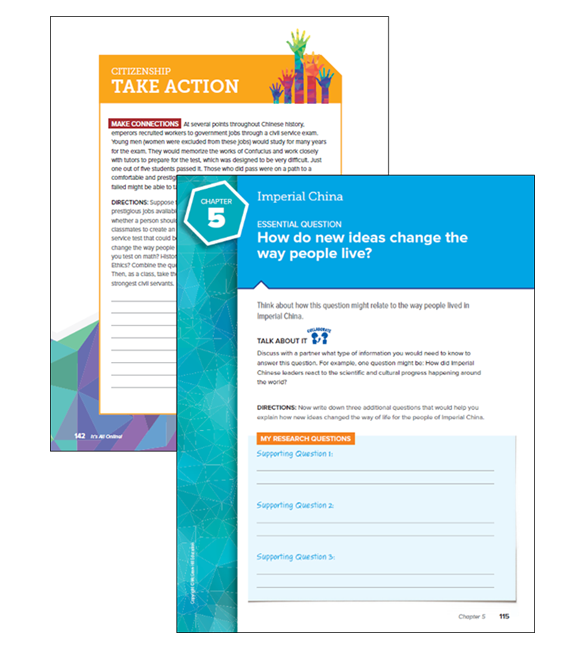 The Inquiry Journals are interactive work texts that will equip students to think critically through active learning. By researching, evaluating sources, and completing evidence-based writing tasks, students learn how to reach informed conclusions and take action. 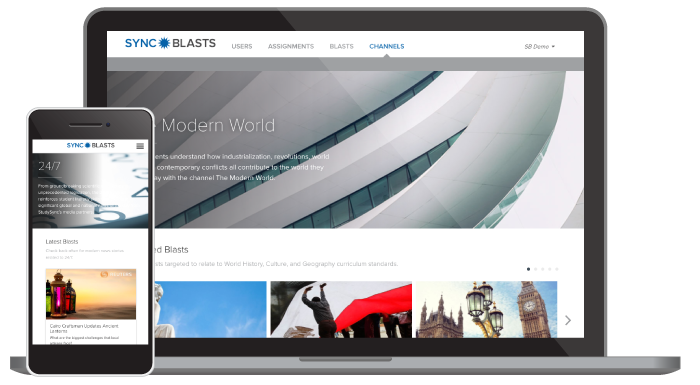 SyncBlasts offers a dynamic digital library of reading and writing assignments called Blasts that cover current events and social studies topics relevant to students’ lives and the world around them. New Blasts are published each school day at three Lexile®-levels. Available in English and Spanish. Contact your rep to add SyncBlasts to your Networks™ solution. 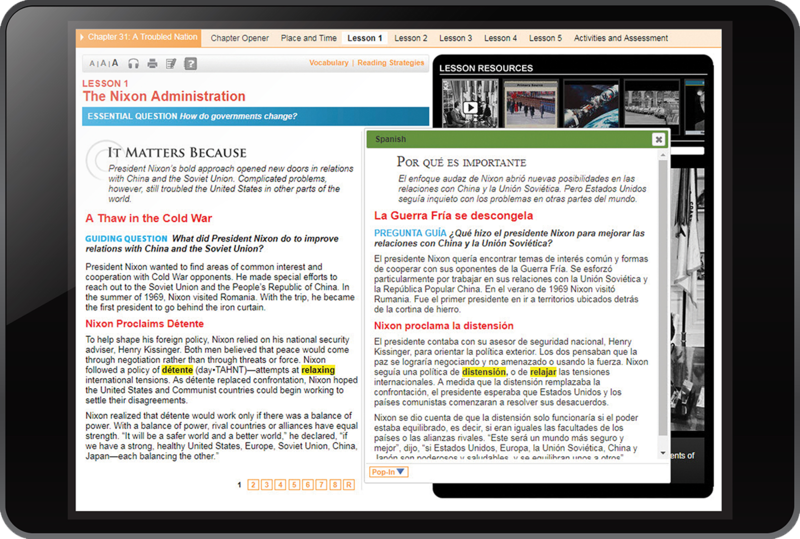 LearnSmart makes social studies content accessible to students by providing personalized instruction, practice, and context necessary to build meaning. The program also suggests different ways to access content or review materials when needed, all based on the individual student’s personal performance and knowledge indicators. Ensure every student has meaningful access to the social studies content and can participate in the discussion. 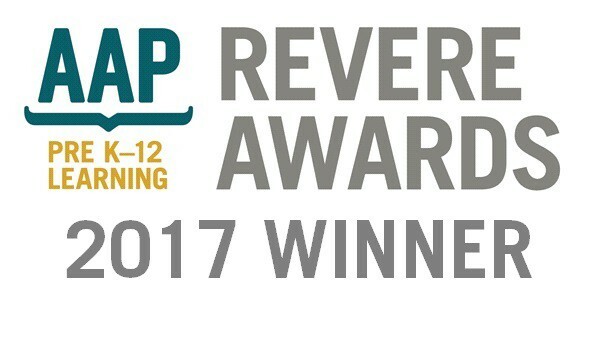 Networks™ 2018 is the winner of the REVERE Award in its category ‘Classroom: Whole Curriculum-Social Sciences and History.’ In the company of a diverse group of innovative and rich educational resources, Networks™ win shows the exceptional quality of our digital offering. We strive to create content that is significant to meaningful educational experiences and by winning a REVERE Award, Networks™ is now highlighted as a product that does just that, help students learn. We know you know this, but let us say it again: Social Studies learning matters tremendously. Without historical knowledge, there can be no wisdom; without geographical knowledge, no understanding of the world’s peoples and places; without civic education, no knowledge of liberty or responsibility, justice, or equality, and no democracy – no government of, by, and for the people.